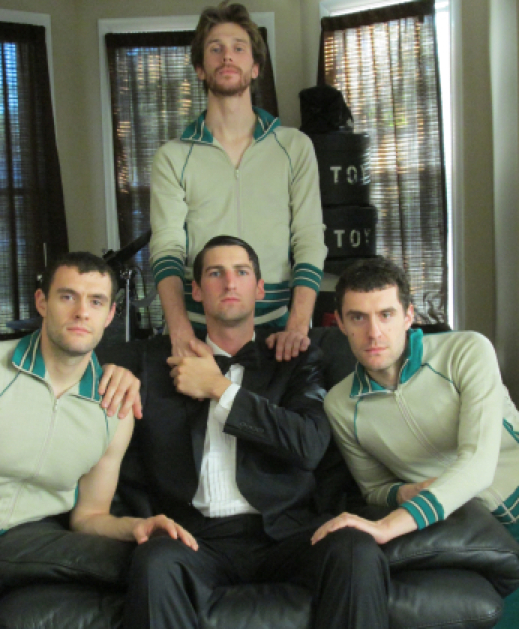 SON STEP is a guitar-less, synth-drenched pop outfit based in Philadelphia, comprised of twin brothers Jon and Chris Coyle (vocals/synthesizers and bass), Joel Gleiser (vocals/electronics), and Matt Scarano (percussion). With their unique setup, the group expertly assembles twisted percussive layers and electric textures into songs that simultaneously speak in complex patterns and colorful, emotional terms. In this spirit, Son Step’s impending third full-length album, Fossilillies, is their most dynamic, evolved offering yet, a whirlwind of novel soundscapes where each member is an integral part of the process.